I will be playing the entire game with my own commentary as well as voice acting, effects and other wonderful stuff. There will be a bunch of episodes (at least 15 minutes long). 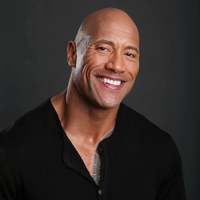 Dwayne Douglas Johnson also known by his ring name The Rock, is an American actor, producer, and semi-retired professional wrestler. Who said you could push me around? So you're ASKIN' me to move over? Okay, just for you, pumpkin. You want me to move some more? That was the wrong direction? You wanted me to STAY there? You're giving me a real workout. Aren't things easier when you just ask? Loox is a monster encountered in the ruins. Loox is bipedal (meaning he walks on 2 legs). 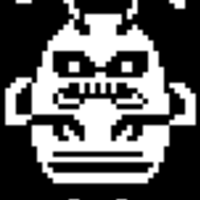 He have one giant eye that makes entirity of his face, with spiky teeth under it and 2 horns on top. Loox deosn't like when people pick on him, despite him picking on other people. 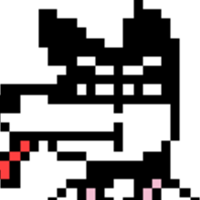 If the player (Frisk) won't pick on him, he will become "a reformed bully". Vegetoid is amonster that encountered in the Ruins. 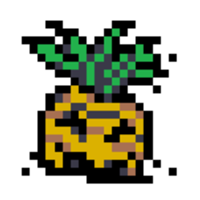 It has striking resemblence to Vegetables (Carrot, to be exact), thus giving him the name Vegetoid. He also have a big smile on his head with overjoyed eyes. He always tries to encourage the Player (Frisk) to eat vegetables (probably a parody on all those healthy life ads) with lines such as "Eat Your Greens." Migosp is a bug like monster appearing in the Ruins. Migosp may seem like he's evil, but actually, he's just incredibly anti-social. 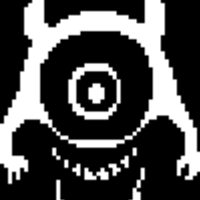 Once the player (Frisk) eliminates all the other monsters, he becomes very friendly. Despite being so anti-social however, he only appears with other monsters, but after all, this was probably just for gameplay purposes. 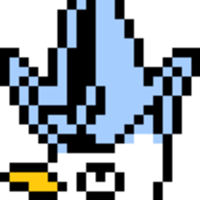 Ice Cap is a monster encountered in Snowdin Forest. 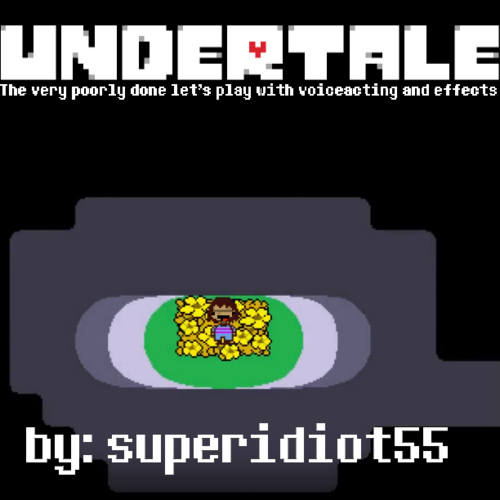 He seems pretty selfish and mean at first, but once the player (Frisk) steal his hat, it turns out that he (or maybe she) just wanted to impress you. Plus he really likes his hat, which is made out of ice. Hmm... Hats are for posers. I wanted you to see me as cool. So I can still impress you? Haha! That was ACTUALLY funny! Ha! Imitated it spot- on! That's the best one in a while! Doggo is dog monster and a miniboss encountered in Snowdin forest. He can only see things that move. If something WAS moving... For example, a human... I'll make sure it NEVER moves again! Hello? Is anybody there...? No? Are you two playing a trick on me? Real funny. Well, it's not the tall skeleton... He's too loud. Whoever you are, knock it off!!! Huh? Since when did you and Sans become friends...? I don't like him. He loves to appear without moving. The Snowman is a character who is located north of the room after Doggo's sentry station. They request the protagonist to carry the -Snowman Piece and bring it very far away to the ends of the earth. They cannot move, and they want to see the world, so they wish for the protagonist to carry a piece of them and take it very far away to substitute for their lack of mobility. 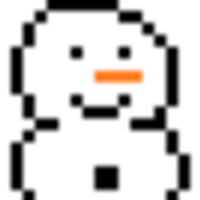 If the protagonist accepts the offer, the snowman wishes them luck. Take a piece of me and bring it very far away.